Back from the switzerland trip. First tots on the trip - expensive !!! everything was so expensive. a mac meal costs about S$15. Anyway, due to lack of frens to 'document' the trip (aka no Lak to blog about it), i will write about it here so i can 'remember' it. 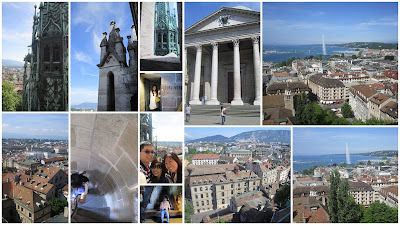 Briefly: 2D Geneva, 1D Zermatt, 1D on Train, 1D Berne, 2DMilan, 1D Lucerne and 2D Geneva. 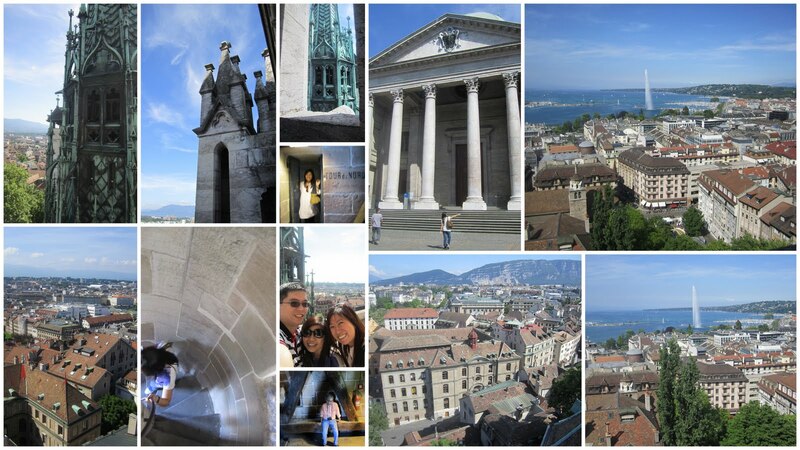 We arrived in Zurich early morning and immediately took a 3hr train ride to Geneva. 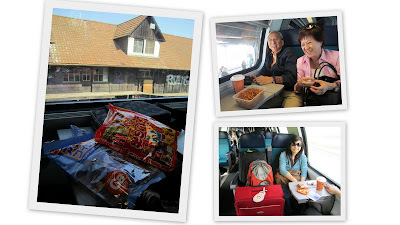 Train ride was comfy with push cart food service. A mere can of coke costs S$5! Anyway, lucky audrey brought snacks from Singapore and Mum got ikan bilis to munch throughout the trip. 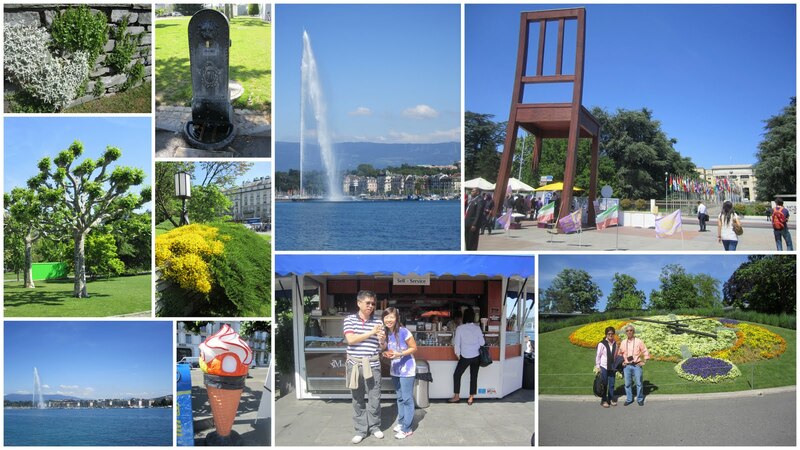 Geneva's a pretty city and easy to walk around and felt a bit laid back. The streets are big enough, clean and not way too crowded. 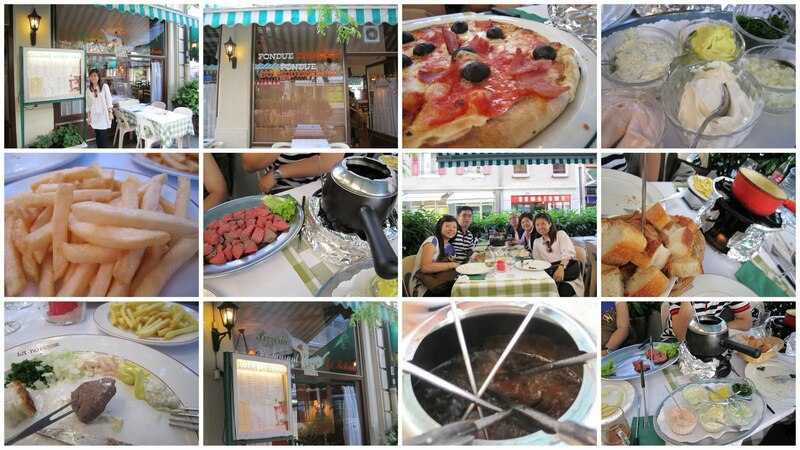 We planned to spend 2 days but turns out 1 full day should suffice. Due to the ample time we had, we had to 'ration our sightseeing' to make sure it lasted two days. 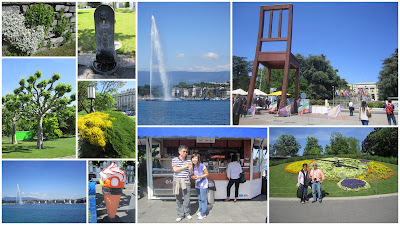 The key attractions includes that huge chair with broken leg (UN something), the huge water jet that goes up to 120+metre, the flower clock, 3statues @ the park, flea mart, old town and patek museum (my dad enjoied this the most). Wished i could write down the exact names of these places but i cant remember. We also visted this church, St Chapelle ( i think that's the name), in the old town. 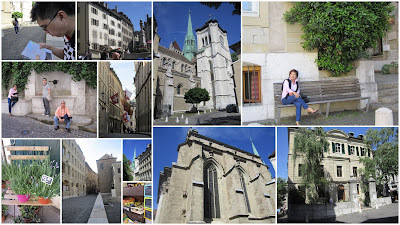 Its a beautiful church and worth the money paying entrance fee to enter the towers - climb the narrow winding steps up where the view is breathtaking! And 'they' say when in switzerland, the fondue is a must try. There are two type of fondue i learnt - cheese type with bread and oil type with meat (somewhat similar to our chinese steamboat except instead of soup, oil is used). And so we tried. Turned out to be our most expensive and unsatisfying meal for the entire trip. Bummer! Next stop - Zermatt! The town without cars.